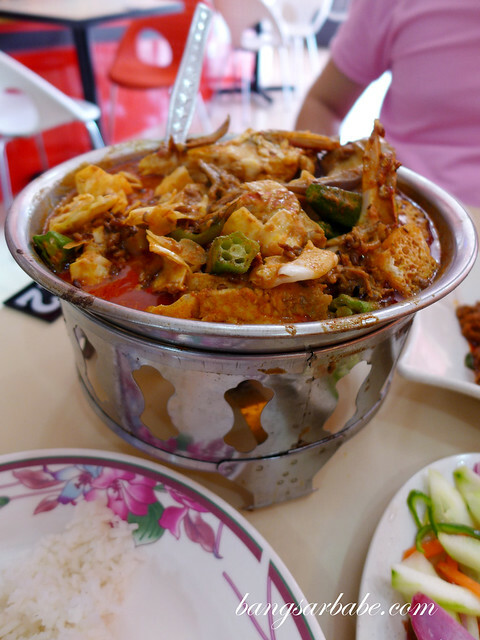 There is a lot to like about Ratha Raub, the latest chain of Raub’s famous fish head curry and chicken curry in Damansara Uptown. The interior features bold red panels and attractive food photography to give the restaurant a modern look and feel. Plus, I find the service helpful. 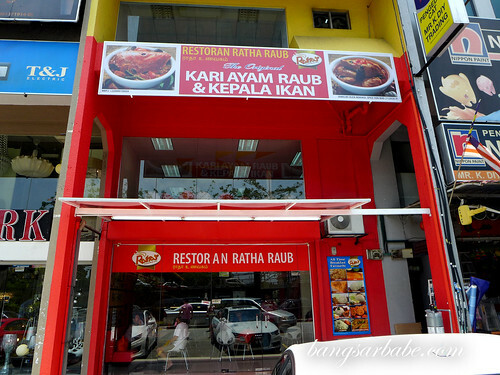 But what I like best about Ratha Raub is their curry. 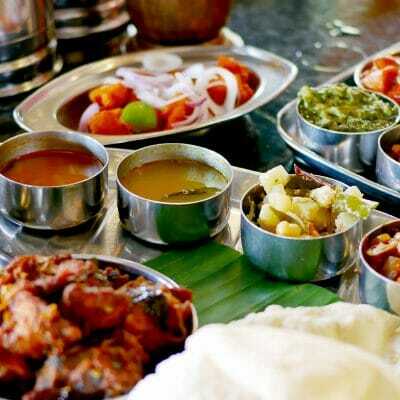 The whole shebang of curries they have to offer – fish, chicken and lamb – reasonably priced and authentically tasty. I was sceptical at first, when rif (who tried this with his colleagues earlier that week) insisted it was “the best damn fish curry” he’s eaten. 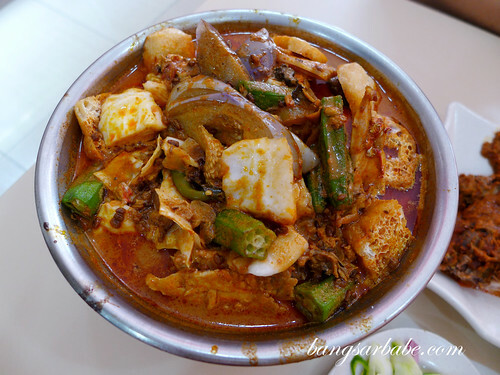 Ratha’s fish head curry (RM39 – small) featured meaty fish head chunks with brinjal, okra and cabbage in a gravy robustly seasoned with spices, curry leaves and fresh coconut milk. 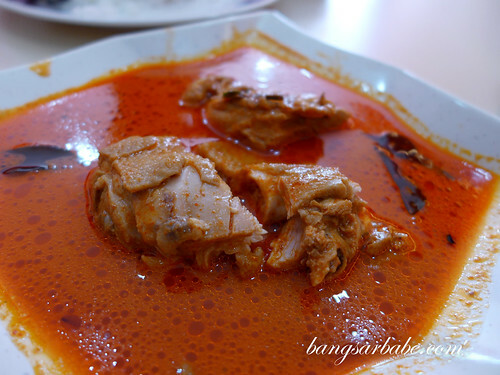 Even the chicken curry (RM4.90 – small) was tasty; more diluted than usual but bold in flavour. I found myself drinking the gravy of both curries, and even ordered a piece of roti canai (RM1.20) to soak up the goodness. 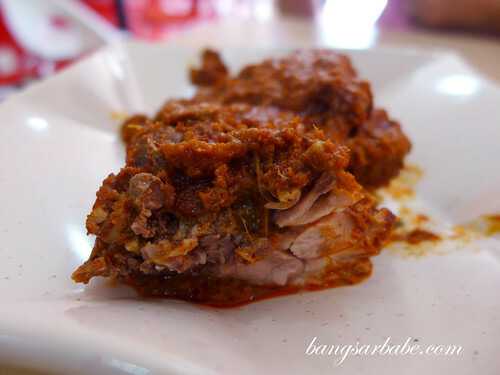 Also noteworthy was the chicken rendang (RM5 – small) where the thick yet smooth rendang paste packed a wallop. Another good surprise was the squid sambal (RM8), appealingly spicy with a rich and creamy undertone. I reckon that came from the squid which was cooked till just tender. 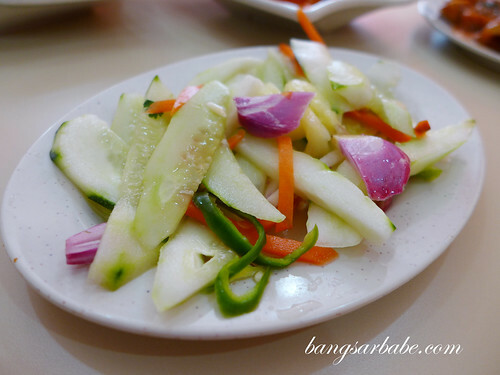 We ate the above with a side of cucumber acar (RM3.50) to offset the rich flavours of the curries. 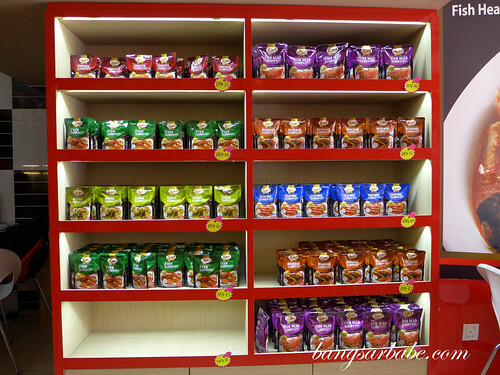 You can also purchase the curry pastes from the restaurant should you wish to replicate the experience at home. My mother in-law does that occasionally. A quick chat with one of the staff revealed that the restaurant is slightly over 2 months old and the original outlet is in Raub, Pahang. I’m definitely coming back for more. Next round, it’s the lamb curry! Verdict: The best fish head curry I’ve tried. 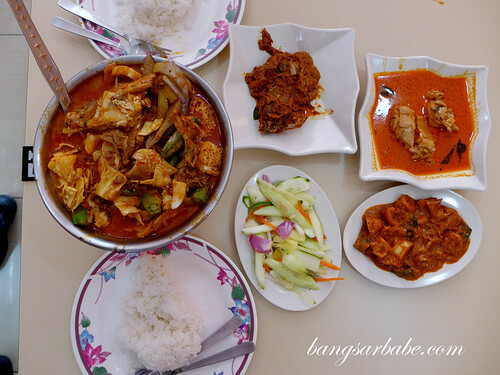 Really good chicken curry and sambal too. Opens from 7am till 10pm, daily. 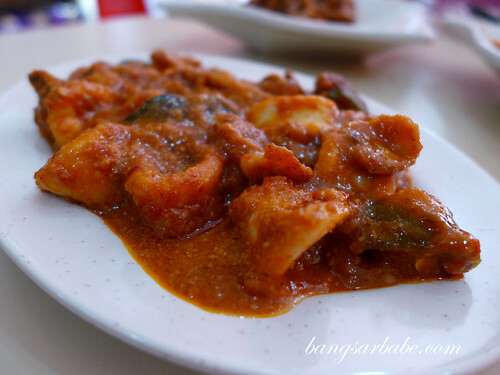 this looks like the style my mom does, brinjal okra everything all, missing it! 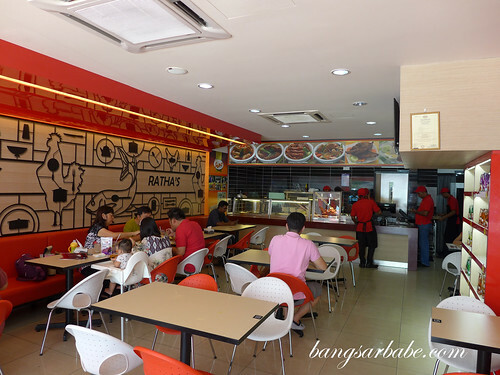 I have tried Ratha’s in Raub and the outlet is as good as you have described here. The lamb curry is really delicious! The outlet in Raub is packed during the weekends and public holidays so much so that they have a problem collecting money from customers queuing to pay! 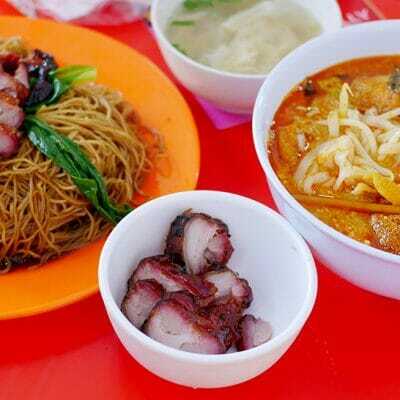 I told We Jien, he should try the original in Raub. I grew up eating that every week. 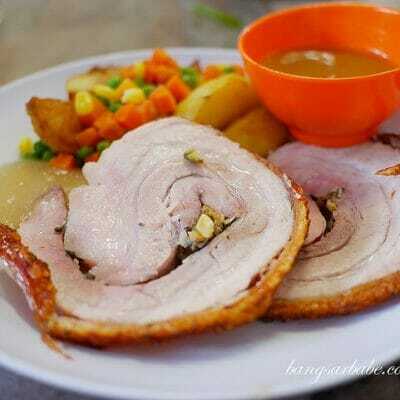 It’s his mum cook, lagi best!